How many times can you wear a shirt or a pair of jeans before you absolutely have to do laundry? 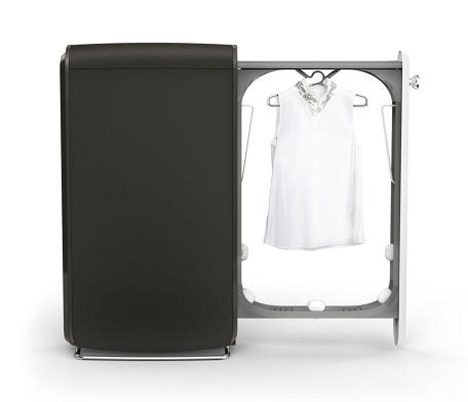 Fashion industry experts have told us that we’re washing our clothes too often, and Whirlpool’s new appliance Swash addresses that problem. 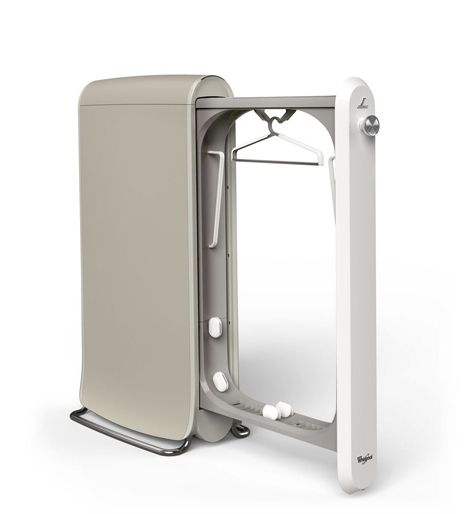 The Swash refreshes your clothes and re-sets their fit (so your stretched-out jeans stay up where they’re supposed to be) in a matter of minutes, letting you put off the laundromat or dry cleaner for a little longer. 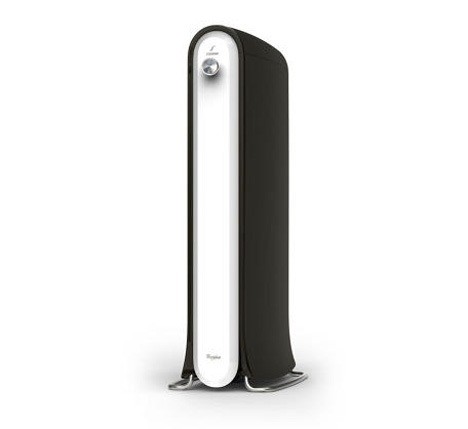 The $500 appliance stands about four feet tall – just tall enough to fit a man’s suit or a woman’s dress. You place garments on hangers inside the cleaning chamber, then insert a pod of cleaning gel which comes in three different scents. Four nozzles inside the machine spray the gel onto the clothes. The gel hydrates the fibers, removing wrinkles and making the clothes smell nice and clean. Then a thermal heating element dries the clothes and has them ready to wear in 10 minutes. It’s certainly not a substitute for washing your clothes since no cleaning takes place, but it can extend the life of your clothes by reducing the frequency of washing. 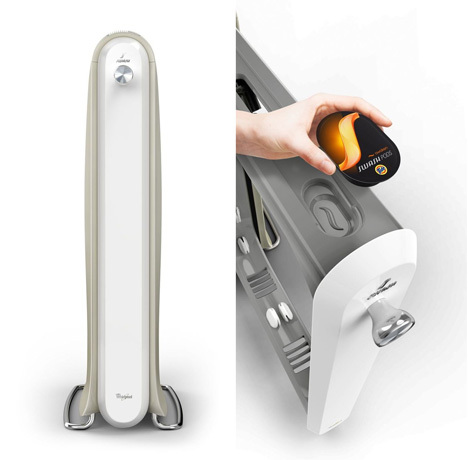 The Swash looks kind of like a small wardrobe, which was what Whirlpool was going for. They wanted the appliance to fit into a home without being too obtrusive or looking like an ugly dry cleaning machine. If you’re willing to spend $500 to put off doing laundry for a while, the Swash is available here.